One of Disney’s most loved classics – The Lion King is now available on Blu-Ray/DVD combo pack. I cannot wait to watch The Lion King with my children this weekend. I know they will love every moment of it. 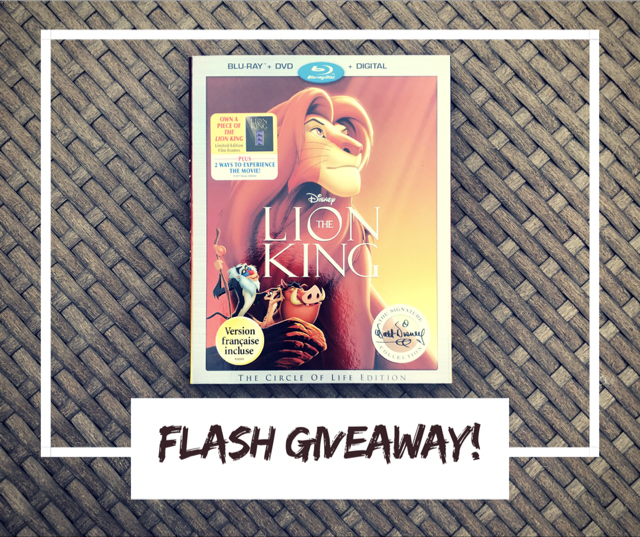 I’m giving away a copy of The Lion King on my Facebook page. Giveaway open to Canadian residents only. Giveaway runs from Sept 7 – Sept 11, 2017. Disclosure: Disney provided a copy of The Lion King to facilitate this review. All thoughts and opinions are my own. timmon and pumba together so funny!